On this unhurried, undeveloped, unspoiled barrier island off Georgia�s historic southeastern coast awaits a world of compelling contrasts and perfect balances � the Jekyll Island Club Hotel. Rich history and modern comforts. Elegant surroundings and simple pleasures. Romance and laughter. Grand dining and beach picnics. Sunshine and moonlight. Vitalizing activities and complete relaxation. Business and pleasure. Couples and families. Escape to the Jekyll Island Club, where �doing nothing� is a no risk endeavor. The Club adapts to you, your timing, and your choices. Read about the origins of this historic Georgia landmark. The Jekyll Island Club flourished into the 1930s, but world events took their toll. 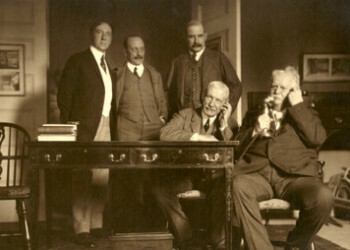 With the advent of World War I, several members offered their personal yachts to the war effort as well as financial assistance. The Great Depression began to change people�s priorities, and in two year�s time, half the Club�s membership dropped away. The final blow to the life of the Club, however, was World War II and the threat of enemy submarines just off the coast, inducing the U.S. government�s order to evacuate the island. The Club�s president hoped to reopen after the war, but in 1947 the state of Georgia entered the picture, buying the entire island for $675,000 in order to turn the once prestigious and influential island retreat into a public state park. Several Club properties, leased from the state of Georgia by an investment firm, have been restored and transformed into one of the finest luxury getaway hotels in America, the Jekyll Island Club Hotel. 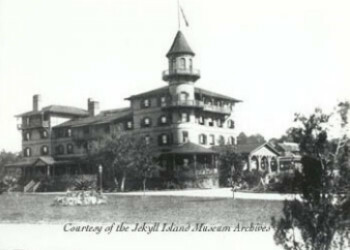 Guests visiting the Jekyll Island hotel today may have dinner in the Grand Dining Room, where former members enjoyed each other�s company as well as exquisitely prepared meals. Over delicate entr�es and world-class wine, they made significant decisions, admired the room�s beautiful leaded art glass and classical details, and vied for social position. The room suggests a visit to the Club for the �season� in the early 1900s. Whether guests� primary interest is architecture, history or leisure, they find love their visit to this grand Jekyll Island Georgia hotel, a Victorian treasure. More than fifty activities are available, allowing you to immerse yourself in the former glory of the Club and island: historic tours, croquet, carriage rides, tennis, golf, airplane fly-ins, yacht docking, private beachfront (chairs and umbrellas), sea shell and bird walks on deserted beaches, horseback riding, and walks in the live oak forests. Every morning at this exclusive hunt club in the early 1900's, Samuel Spencer, president of the Southern Railroad Company, insisted the Wall Street Journal be delivered to his room. For years, it was his ritual to drink a cup of coffee while scanning the paper. In 1906, he was killed instantly in a train accident. Since then, club members and hotel guests who occupied Spencer's room, have found copies of their newspaper disturbed, moved or folded in their absence. Coffee cups have been mysteriously poured or "sipped on" when guests returned from the shower or a brief outing.